The Eagle Dance is a day-long ceremony where we let the heartbeat of the drum, the dance to the Tree of Life, and prayers to spirit guide our life in the coming year. 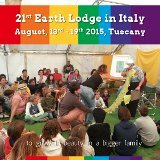 Join us in this dance as a community of light seekers wanting to be part of the solution on this planet. 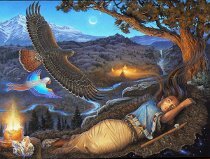 The intent of our 19th Eagle Dance is to awaken the ability to see love in all its forms and open our eyes to a new way of knowing love in our intending. Let the dance teach you about a stress free choreography by embracing the pure and total shining of who you are. This is a great opportunity to press the reset button and create a contract with your heart. Thursday evening you will set up camp and attend an all camp meeting. Friday we will work together as a community preparing the Dance Arbor. Saturday morning bright and early we get up at the crack of dawn and begin our dance to the tree of life ending the day with a community feast. Sunday we gather and give thanks by putting the beautiful land we danced on back to its natural state. There are preparations required prior to the dance and early registration is advisable. We will be accepting registration and payment up to July 19th. 2-week intensive to fully release physical armoring and rebirth your Natural Self.